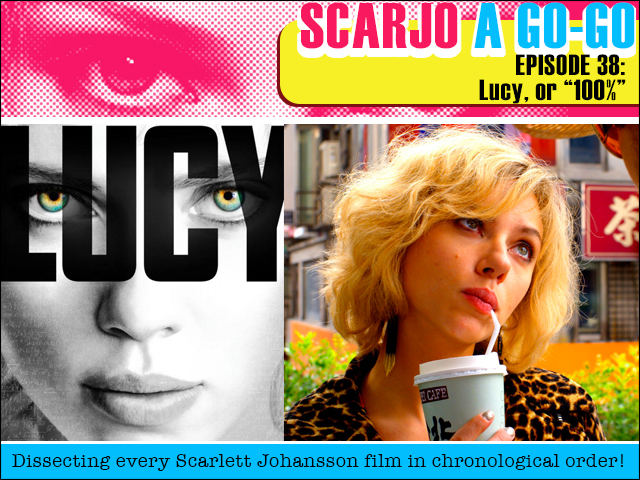 Fruitless Pursuits: Scarjo A Go-Go Episode 38: Lucy, or, "100%"
We did it! We caught up! This is the last episode of Scarjo A Go-Go for a few months while we wait for the Blu-ray release of Age of Ultron. But I'm still going to give it 100% as we examine Scarlett Johansson's performance in crazy Frenchman Luc Besson's don't-let-the-facts-get-in-the-way-of-a-good-story science fiction action flick Lucy! Thank you so much for coming along for the ride!